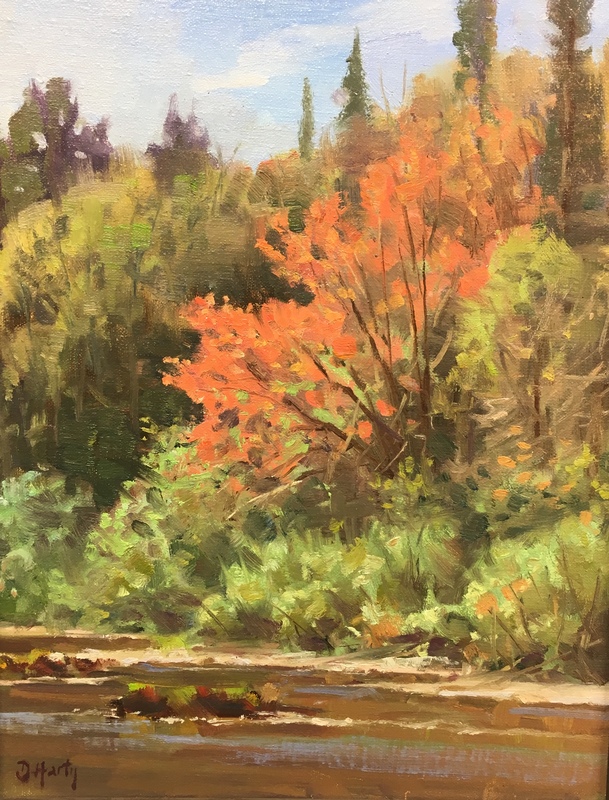 Wildlife painter, Dwayne Harty, draws his inspiration by immersing himself in the wilderness in order to study firsthand the wildlife and landscapes that inspire him. Dwayne has been creating paintings and dioramas for over 30 years. Dwayne’s paintings are categorized into the following genres; landscape and wildlife along with dioramas and murals. Dwayne likes to avoid physical minutiae and surface detail in order to convey the transitory and ephemeral. His aesthetic concerns- such as the shifts in color, temperature of light or how light illuminate the underside of an animal's coat – are those of an impressionist although his work is realistic. 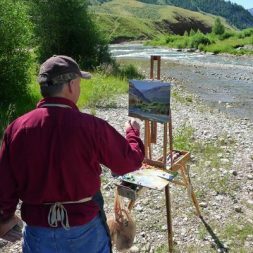 Since the fall 2010, Dwayne has been living in the Jackson Hole area, Wyoming and is the artist in residence at the Murie Center, in Grand Teton National Park. He was formally trained at the Arts Student’s League in New York City and mentored by three of the 20th century’s important wildlife artists: Bob Kuhn, Robert Lougheed and Clarence Tillenius. He has a particular gift for the subtle colors found in nature and the natural behaviors of animals in all their moods. His ability to paint animals in their habitats has ked to commissions to peint dioramas for several major museums and park interpretive centers. Dwayne has the trained eye of a scholar and an impressionist’s touch which he developed by going to Europe to study the work of the great Bruno Liljefors and by following the footsteps and canvasses of North America’s great wildlife artist Carl Rungius from Yellowstone to Yukon.